Civil War reenactors in Charles Town. Charles Town (population 2,907) is the county seat of Jefferson County and was founded in 1786 by Charles Washington, brother of George Washington. His home, Happy Retreat, still stands, and the City is exploring options for purchasing the property for use as a community museum and park. Charles Town is featured on the Washington Heritage National Trail Scenic Byway. John Brown’s raid on Harpers Ferry was a precursor to the Civil War, and Charles Town was the site of his trial and execution. During the war, the community suffered heavy damage during two battles. Today, the Charles Town Historic Overlay District encompasses the city’s historic downtown. The Jefferson County Chamber of Commerce has developed a walking tour brochure for the downtown to encourage heritage tourists to explore the community. 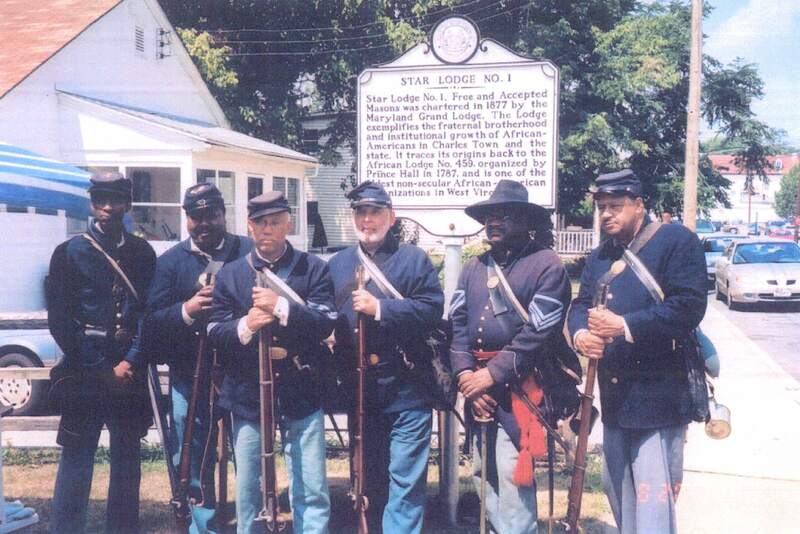 The Jefferson County Black History Preservation Society has developed the Black History Tour brochure that highlights Charles Town’s extensive African-American history. Visitors are also drawn to Charles Town’s annual heritage observances, including the Heritage Day Festival, the African-American Heritage Festival, and the Mountain Heritage Arts and Crafts Festivals. To help revitalize southwest Charles Town, the City has partnered with the African-American Community Association to restore the Galilean Fisherman’s Hall. Since its construction in the 1880s, the building has been used by a variety of benevolent societies, including the Grand United Order of Galilean Fishermen. Disused and neglected since the 1980s, the building is now being renovated for use as a community building. Its rehabilitation has already become a catalyst for the neighborhood’s social and economic revitalization.